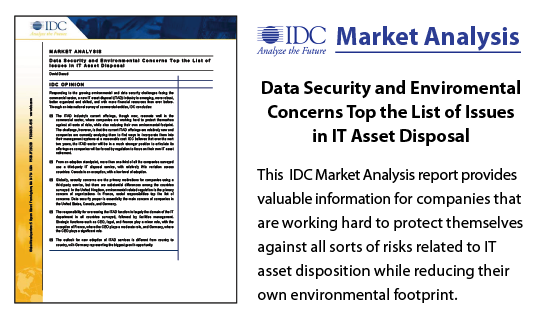 If you’re considering recycling unwanted equipment, you’re probably wondering, “should I be worried about my data being vulnerable?” Most of our residential and commercial clients all have the same concern – and it’s valid. With Spectrum Ecycle Solutions, you don’t have to worry. We guarantee 100% data destruction with no compromises – ever. The most important aspect of our equipment and technology recycling processes involves the secure certified destruction of the data contained on those devices. Our strict adherence to data destruction standards ensures your information is never compromised and all data is fully destroyed at our facility. This is a guarantee that we take very seriously. How do we ensure there is nothing left on your unwanted computers, towers, phones, and copiers? We have a certified audited system that includes witnessed data destruction, precise documentation at different stages of the process, and an industry regulated certification that is presented to you and your company when completed. 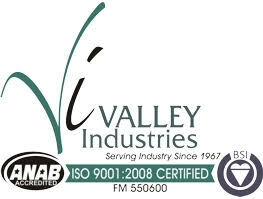 Unlike some electronics recyclers, we do not send your data-bearing devices to other facilities – we always complete your data destruction at our certified facility. Once we document and load your unwanted equipment onto our trucks, it is immediately transported directly to our St. Louis facility for processing. Once we begin processing your equipment, the data on magnetic media is destroyed by either physical destruction via shredding or sanitized with specialized data destruction software that complies with NIST 800-88 Media Sanitation Guidelines. Which method we use is determined by customer requirements and reusability. This destruction process is closely monitored internally and audited externally by a third-party that specializes in data destruction forensics. Our rigorous process ensures that we maintain a 100% success rate with data destruction and can offer Data Destruction Certification. Not only do we certify data destruction, we also certify equipment disposal. Why is this important? Electronics are not biodegradable and many contain hazardous materials. Did you know the United Nations University (UNU) reports 44.7 million metric tons of e-waste was generated in 2016? And, this number only accounts for about 20% of the total amount measurable. This already staggering quantity is expected to increase to roughly 52.2 million metric tons of worldwide e-waste by 2021. For this reason, we feel it is equally essential to have secure disposal of your unwanted equipment. That way, you know it’s being disposed of responsibly, not adding to the e-waste problem, and can even add your e-cycling proof of efforts into your company’s marketing campaign. As a company and individual, you can do your part to decrease these e-waste statistics by responsibly and securely recycling your unwanted electronics and technology with Spectrum Ecycle.